BETA Puppy Dry Dog Food With Chicken - 2kg. 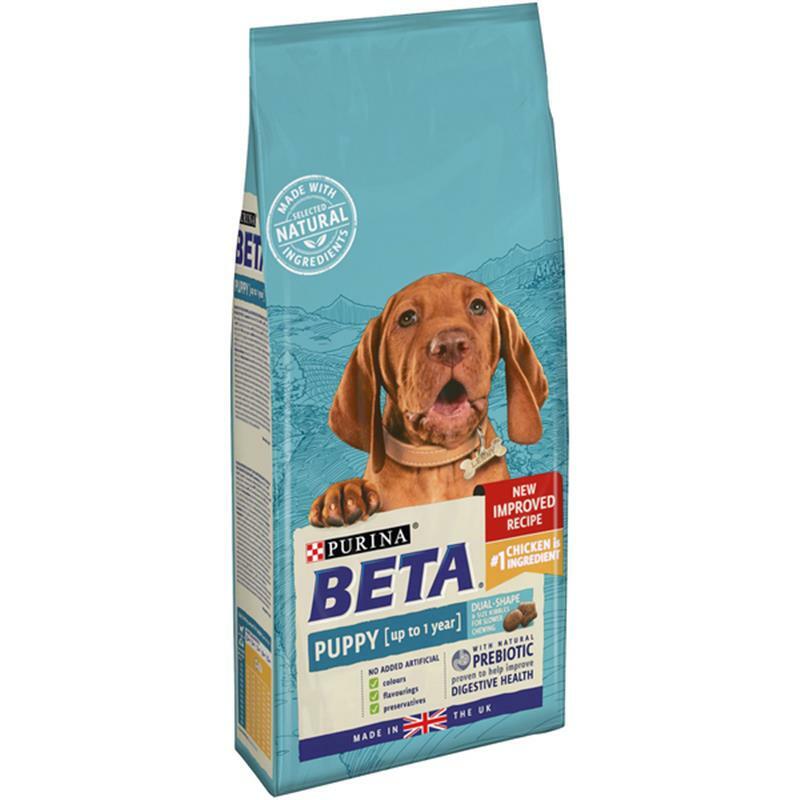 The BETA puppy dry dog food with chicken has tailored nutrition for puppies that includes antioxidants to help support natural defences, and DHA that's essential for growing puppies. It is also specially formulated with selected natural ingredients and a natural prebiotic to help support digestive health. Suitable for up to 1 year, for gestation and lactation, and for adult toy dogs.